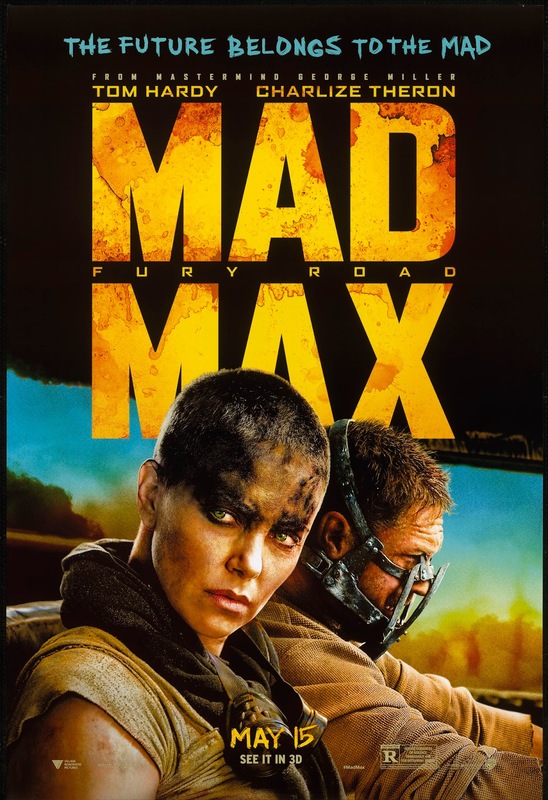 With a whopping 10 nominations this year, Mad Max: Fury Road became the least likely picture to get so much Oscars recognition. And it’s always a refreshing change when the Academy mixes things up with unlikely candidates. Now while I think Mad Max deserves all its other nominations—from direction and cinematography to sound editing and costume design, I wouldn’t have given it a best picture nomination. The film was good, it was entertaining throughout, with several edge-of-the-seat moments. However, there was little character development, a somewhat weak plot, a largely unexplained post-apocalyptic universe, and it was excessively indulgent, with some totally outrageous elements. Maybe it was all that was lacking in the movie that was responsible for it not getting a screenplay nomination. 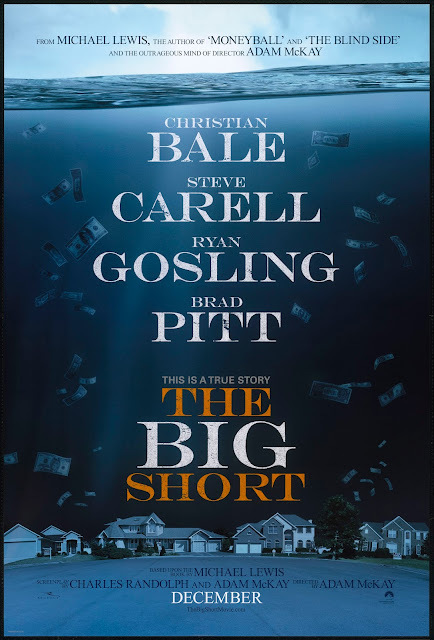 I’ll admit, a lot of the film went over my head, what with all the financial jargon, and really detailed banking terms and matters related to credit and debt. All of that was true, despite the really creative and clever ways they found to explain it to the layperson—Margot Robbie in a bathtub, Selena Gomez in a casino, etc. The problem was that it was a movie that tried to reach out to a larger audience, but didn’t quite get there, hence remaining too niche. A few characters were well fleshed out, but many were just mere sketches of people going about money and investments, trying to get lucky. The pace of the film was good, despite the long duration. However, there were just too many things that weren’t quite there with even the plot. And when the film ended, it felt like the characters just decided to stop doing what they were doing all along, and didn’t want to be filmed anymore. The breaking of the fourth wall probably had a lot to do with that. I loved this film. It was so enjoyable and entertaining; even heartbreaking in parts. It was like Cast Away, but with the protagonist left behind on an uninhabited planet instead of an island. Matt Damon was fantastic. And even with less of what was happening back on Earth, I think he could have carried the film on his own. It was endearing to see his team, led by Jessica Chastain’s character, and how they were all for doing whatever it would take to bring him back. But the best part was that despite the length and the many moments when time seemed to stand still as the ‘sols’ passed for Damon, in the figurative confinement of space, there was no dull moment. However, even considering all of the above, I’m not sure if I would put it among the five best pictures of the year, as it was more of just an entertainer. A slightly more complex plot and a stronger establishment of the gravity of the protagonist’s predicament could have probably given it that slight nudge it may have required to be in the top five on this list. This was a good film, excellent even. The cinematography and production design were so effective, that even with a rather simple plot, and limited range for it to go too far, the characters got such a splendid chance to grow in that recreated Cold War universe. I thought the depth in Mark Rylance’s Rudolph Abel was immense and it was obviously the outstanding performance that took forward a very well-written character. Tom Hanks was brilliant, as always, and Steven Spielberg showed off his range and versatility as the filmmaker extraordinaire that he is, once again. It’s especially a good film because it tells the story of an unsung hero, who the world should know about, despite him having been like any guy you might see on your local commute to work. The film’s execution, and the conviction in the protagonist’s resolve to get both prisoners back, were absolutely outstanding. 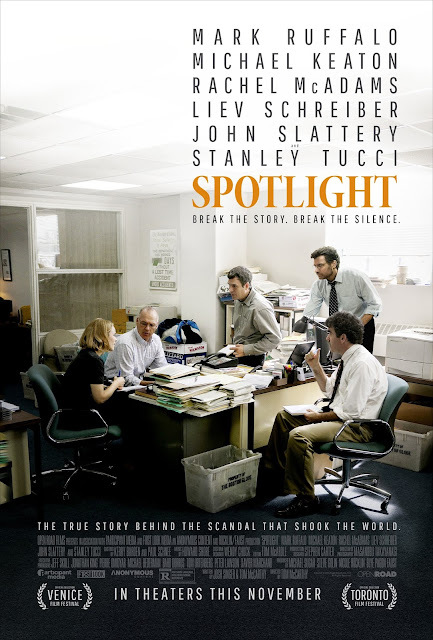 One of the most shocking films I’ve seen in a long time, Spotlight is one that really made me think again about the evils of organized religion, and how much religious institutions get away with. The brilliant ensemble cast carried the film entirely, right from the first tip that the Spotlight team received to them discovering that attempts had been made to bring the Church’s wrongdoings to the media’s attention in the past. Throughout the film, the performances and direction make one loud statement after another about how things had been dusted under the carpet, without unnecessarily sensationalizing the revolting truths that were uncovered along the way. The team’s internal conflicts, the workings of investigative reporting, and knowing the right time to break a story with maximum impact, and so on were executed with justice. If there was one thing I missed, it was seeing more of the survivors and knowing their stories. I think if they had delved a little more into that, although cleverly, so as to not make it a pity sob-fest, it would have added a lot more depth to the movie. A simple story, this movie has a premise that is hard to explain to people who ask what it’s about without making it sound trivial. 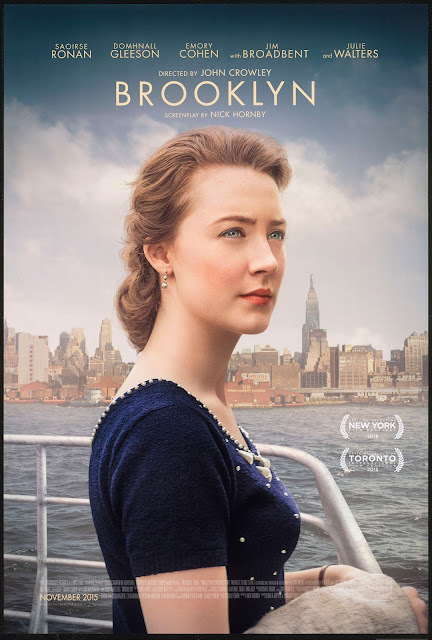 However, the beautifully recreated ’50s in Ireland and New York, and the nuanced writing and direction of the protagonist’s endearing and intriguing journey from one continent to the other, discovering cultures, was what embellished the simple story to make Brooklyn a rich piece of art. Saoirse Ronan’s portrayal of the conflicted young woman, torn between staying in a world so familiar and comfortable, and one that that she had made her own and found love in, was absolutely splendid. It was the justice done towards both those scenarios that made this film so clever. It made people seriously doubt what they were convinced they wanted for the protagonist. And if a film can pull that off, you’ve got a compelling picture. Brooklyn is the gem this year. At first, the premise of the film sounded weak. 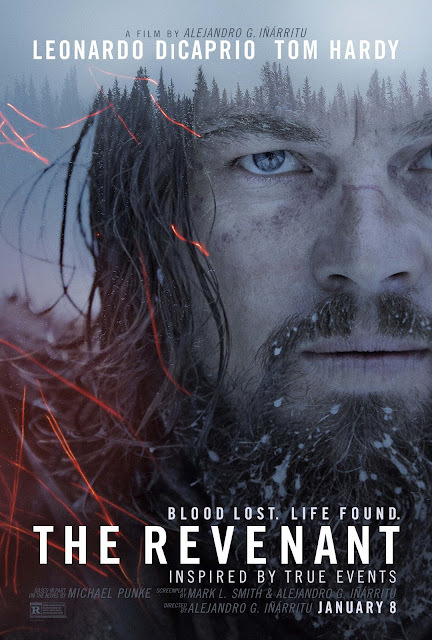 Even as Leonardo DiCaprio’s Hugh Glass was being mauled by the bear, in one of the most disturbing and hard-to-watch scenes ever, I still wondered what else there would be in this film that would make it worthy of a best picture win. A gripping journey followed, as Hugh Glass went through one obstacle after another, from having to eat a dead animal’s organs raw to gutting out a horse to sleep in it. It was a director’s film throughout, with outstanding production design and brilliant cinematography to help realize Alejandro Iñárritu’s work. What makes it even more compelling is that it’s a tale of survival and beating the most underwhelming odds to make it out alive. DiCaprio’s extraordinary performance enhances the experience of the film tremendously. It’s the complete package. And that’s probably why this film will actually win the Oscar for best picture. This movie redefined the notion of drama being more intense in a confined space. 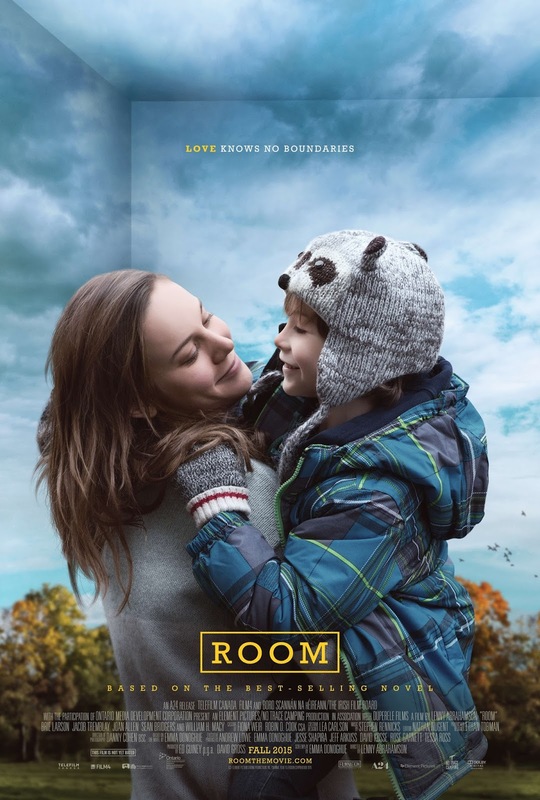 It was not the scenes in ‘room’ that gave you that intensity, it was all that was under the surface of those scenes that made the film so engaging and got you invested in the wellbeing of the mother and son. The danger in the ‘room’ wasn’t obvious. It wasn’t scary. It wasn’t overwhelming. It was just imagining the horror of someone having been trapped in a tiny space for that long, with nothing but a skylight and some leaves to see of the outside world, that made it so shocking. And that is why the scene when Jack was in the truck, on the verge of trying to escape, was so powerful. What made this film so much more effective than it would’ve been anyway, was the boy’s perspective, and his naïve and innocent, limited understanding of the world. The film didn’t try to do too much and its narrative flowed well to a natural and beautiful end at just the right time for the characters. Quiet and compelling are two words that can describe a large part of all the performances nominated in this category quite perfectly. Cate Blanchett does it with her eyes and her body language, and the lack of words she has to use. Saoirse Ronan does it with her observation and expressions, as her distant looks portray deep conflict. Charlotte Rampling brings out her character’s love and insecurity through her vacant expressions and longing glances. Jennifer Lawrence makes her point by talking fast and moving swiftly without saying or doing too much. But the most striking of them all is Brie Larson, who does it with the desperation and despair in her voice, but only when her character can’t keep it in any longer and hold it all together through unending moments of restraint to protect her son from knowing harsh reality. The variety in the category is astounding. Michael Fassbender delivers an effortlessly strong, albeit lukewarm performance as a revolutionary tech entrepreneur. Bryan Cranston brings passionate madness to his portrayal of a strong-willed and legendary screenwriter. 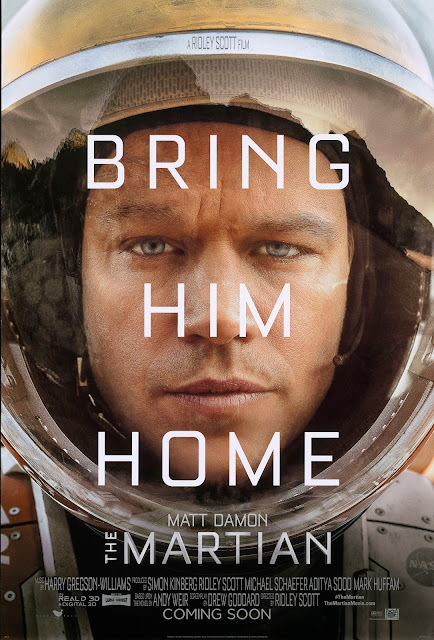 Matt Damon shines with positivity, even in a desperate situation as an astronaut stranded on Mars. Eddie Redmayne delivers a quiet and elegant performance of a man allowing himself to be the woman he believes he is. But the most riveting performance of this lot is Leonardo DiCaprio’s, who brings out an explorer’s conviction, and an undefeated resolve to survive, with extreme perfection. 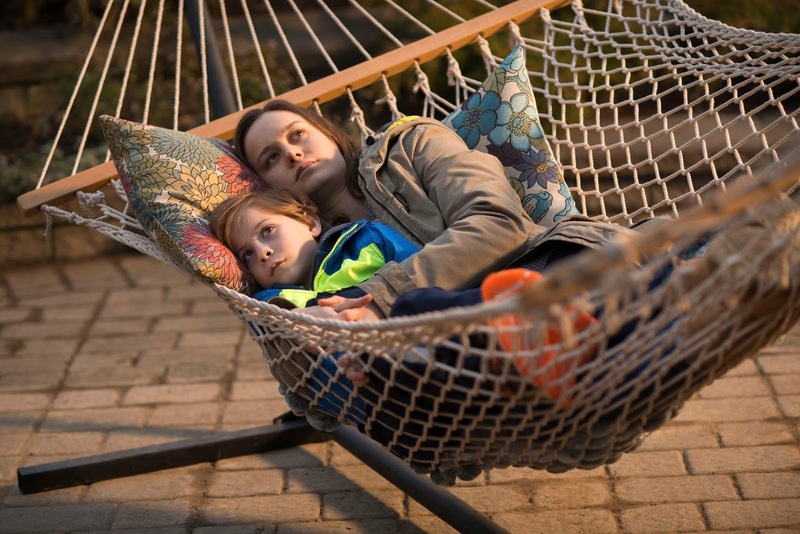 Rooney Mara and Rachel McAdams exhibit quiet restraint in their performances and lend endearing and somewhat strong qualities to the roles they play. Jennifer Jason Leigh is comical and crazy with her loud, yet effective portrayal of the captive in The Hateful Eight. But this time, the truly compelling performances in this category are Alicia Vikander’s and Kate Winslet’s. Winslet does marvelously, with the unique accent she has to put on, and being the silent backbone of the film, as the protagonist’s voice of reason. However, Vikander, as the unsung hero of The Danish Girl, is brilliant right from her first few moments on screen. The conflict between wanting to be there for her husband as a friend and wanting her husband, the man she fell in love with, is beautifully brought out by the heartbreak and frustration she portrays. That’s why I think she should win this one. This is definitely one of the stronger categories, wherein one should find it difficult to pick a winner, even if the Academy might go the predictable way. I think Stallone was good, and added a rich, endearing quality to a less-than-brilliant movie. I think Ruffalo’s restraint, even in his outburst in Spotlight, was commendable. I think Christian Bale did fantastic justice to the quirks of his character, proving again that he can fit into any kind of role. 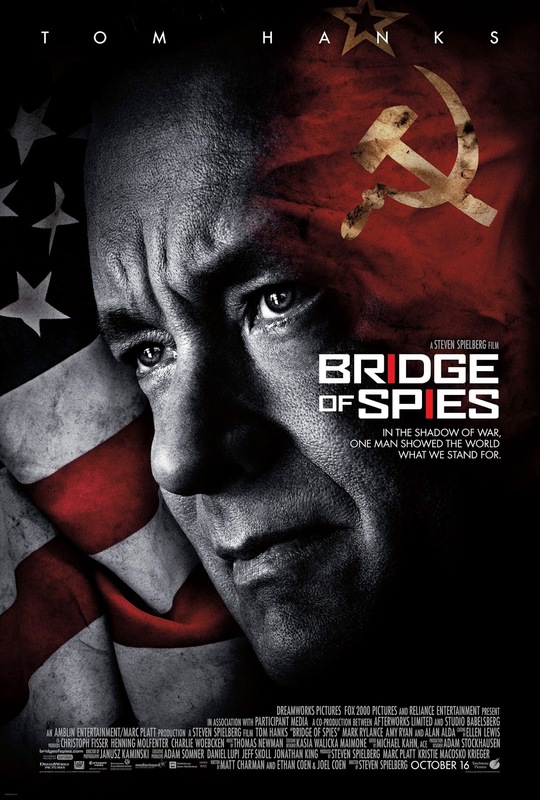 I think Mark Rylance brought out quiet and intelligent intrigue with finesse in Bridge of Spies. However, I think the one that should win this category is Tom Hardy. He brought ruthlessness and brutality with an unbelievable amount of conviction, especially with nuances that were informed by the time and the place of the story.